Jim Dunn, PhD, DHA, FACHE, is executive vice president and system chief human resources officer for Atrium Health, one of the most comprehensive and highly integrated not-for-profit healthcare systems in the nation. 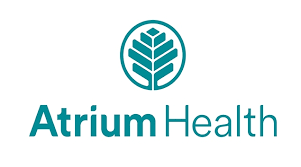 As a member of the executive leadership team, Dunn leads teams that focus on the engagement of Atrium Health teammates – from recruitment through retirement – including workforce relations, diversity and inclusion, compensation, benefits, learning and organizational development, teammate health, Live WELL, recognition, events and HR communications. A national expert in culture, diversity and inclusion and the employee experience, Dunn joined Atrium Health in April 2018. Previously, Dunn served as the executive vice president and chief talent officer for Parkland Health and Hospital System in Dallas, Texas. 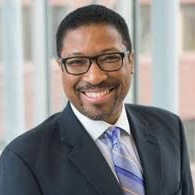 He served as a member of the executive leadership team overseeing the people and talent operations for the system, including human resources operations, inclusion and diversity, employee experience, language and linguistic services, pastoral care, occupational health and their learning and development structure. Prior to joining Parkland, Dunn served as the human resources and learning executive for the Cleveland Clinic, chief learning officer for Texas Health Resources, and the national vice president of human resources and talent retention strategies for the American Cancer Society. His work history also includes progressively responsible roles as a research scientist with the Georgia Tech Research Institute and leading the global HR operations for former President Jimmy Carter at the Carter Presidential Center in Atlanta. Among numerous notable achievements, Dunn has received the Outstanding Business Leader Award from the Dallas Business Journal, the South Dallas Outstanding Leader Award, and the Global Strategic HR and OD Award from the Organizational Development Institute for his work on informal cultures. He also was named among the 2018 Most Influential African-Americans in Corporate America by Savoy Magazine. Dunn holds a bachelor’s degree in chemistry and macro-environmental science from Howard University, a master’s degree in business administration from the Massachusetts Institute of Technology (MIT), and a Master of Public Health degree in occupational health from Emory University. Additionally, he holds multiple doctoral degrees in education, organizational development and healthcare administration from Emory University, Benedictine University and the Medical University of South Carolina, respectively. He has served as adjunct and distinguished faculty for multiple universities including the Harvard School of Public Health, MIT Sloan School of Management, Morehouse School of Medicine, Emory University, University of Chicago and the University of Texas at Dallas. He is also a state registered professional mediator, specializing in workplace conflict resolution strategies, and a fellow (FACHE) and faculty member of the American College of Healthcare Executives.